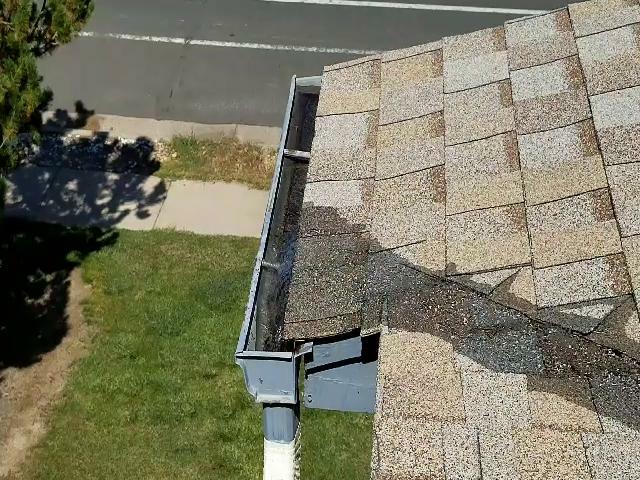 Gutter flushes are very important, especially after a hail storm. The hail, when it hits your roof, loosens "grit" (tiny bits of the asphalt roof). The grit can collect in the gutter. 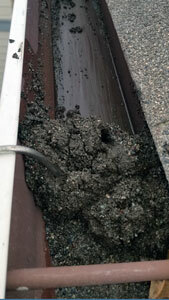 If enough girt collects, the weight of the grit, may cause the gutter to sag or even fall down. <== This is the grit from a small section of gutter. It weights several pounds. Gutters are not built to withstand, without damage, the weight of this grit! With no gutter to protect your home from water, you may have a leak in the wall, which will be very expensive to fix. Be smart get your gutters cleaned and flushed.